NUS Geog Soc: Outing to Marina Bay City Gallery! Outing to Marina Bay City Gallery! Welcome back to school! Geogsoc wishes to kickstart this semester with an outing to the Marina Bay City Gallery! 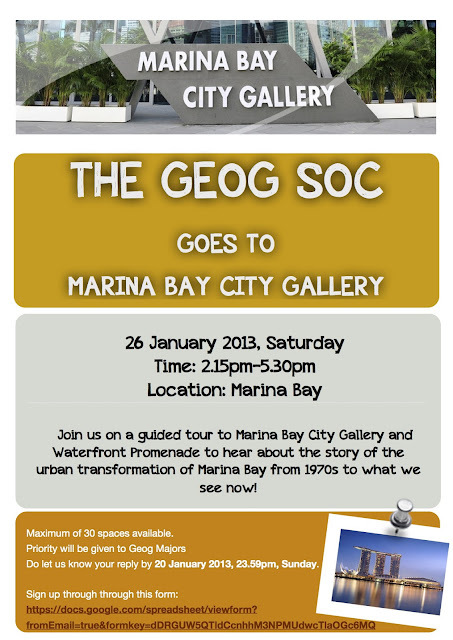 Join us on this outing as we learn about the urban transformation of Marina Bay from the 1970s to what we see now! There is only a maximum of 30 places available.